The Wanderers would win only 15 of their next 44 games in two seasons, before the NHA was reorganized as the National Hockey League (NHL). 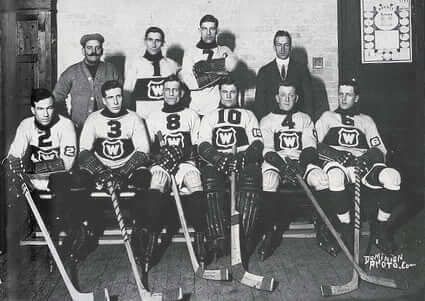 The Wanderers played only four games in the NHL’s inaugural season and lost all but one before their home rink, the Montreal Arena, burned down on January 2, 1918. At the time, they had lost star players Sprague Cleghorn and Odie Cleghorn and had appealed to the other teams for player help. Before the fire, they had successfully obtained goaltender Hap Holmes from Seattle of the PCHA and it seemed that they might turn around their misfortunes. After the fire, the Wanderers again appealed for reinforcements, but none were forthcoming.